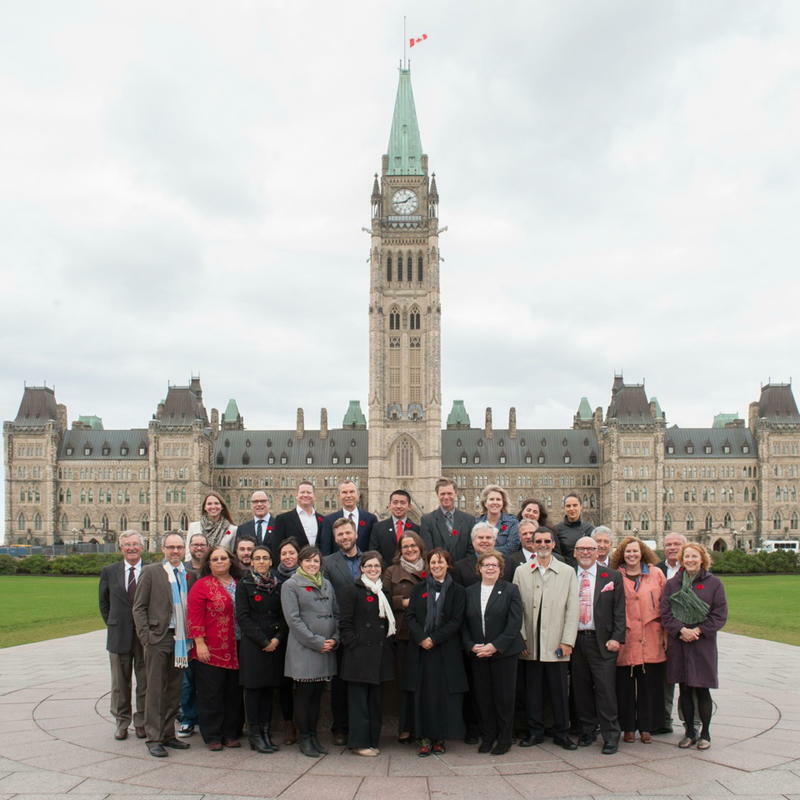 On Tuesday October 28 we boarded a train to Ottawa enroute to the annual Parliament Day and Organic Policy Conference. My colleague Maureen Kirkpatrick is the Standards Coordinator for the store. She is responsible for supporting the department managers with proper sourcing of product for our store and the rigorous task of managing our annual organic certification. 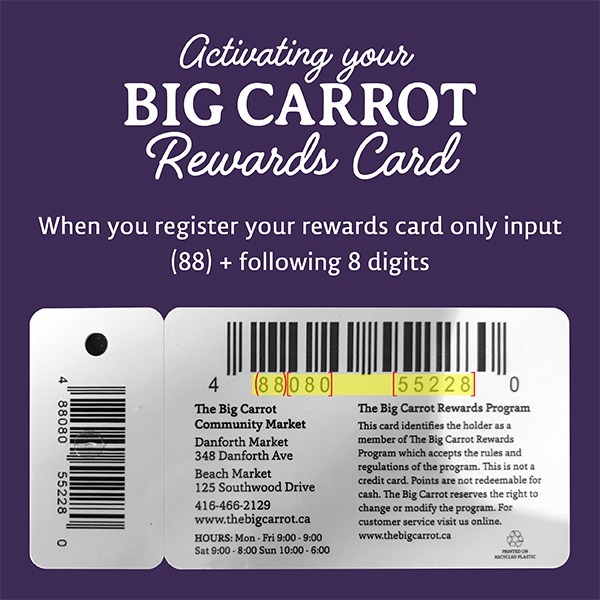 We are Ontario’s first certified organic retailer. Maureen sits on the boards of the Canadian Organic Trade Association and The Non-GMO Project. In addition to my role as Public Relation and Education Outreach Coordinator at The Big Carrot, I sit on the board of the Canada Organic Growers. Once in Ottawa we gathered with some of the movers and shakers of the organic sector. The event was organized by the Canada Organic Trade Association and hosted by Honourable Senator Carolyn Stewart Olsen. It began with an organic reception in the Centre Block of Parliament Hill. Various MPs were invited to sip organic wine, sample organic hors d’oeuvres and learn more about the importance of supporting the organic sector. Before wrapping up Dr Laura Telford was presented with the inaugural Michael Leclair Organic Visionary Award for all her hard work for the organic movement. Day 2 was busy and exciting. We gathered early in the morning for an Organic Policy Conference. We reviewed the successes of the industry as well as some of the challenges. By 8:45 we were hearing from a panel of experts on the upcoming matters of our sector. This included Marie-Eve Levert on Seed Act changes, Dr Laura Telford on provincial regulation and Stephanie Wells on regulatory modernization. What occurred to me was that it’s not only organic farmers working hard to grow this industry (and grow the food), there are hundreds of us working behind the scenes on policy, research and government relations. Once we were up to speed on industry news we listened to 2 keynote speakers in preparation for our afternoon meetings with Members of Parliament. Ian Anderson of Temple Scott Associates Inc. armed us with the overarching principles of government relations. This is good stuff so I will share it with you for your next meeting with a government official. Who supports your idea? Who has had successes with your platform? Author and environmentalist (and pal) Rick Smith wrapped up the morning with anecdotes of his research in his most recent book Toxin Toxout. Namely his study of a non-organic diet versus an organic diet where organophosphate pesticide metabolite levels (say that 3 times fast) decreased in urine samples of 9 nine children when they switched to an organic diet. I’d be stunned if this research finding surprises anyone but what it does point out that organic agriculture also has a positive impact on the health and wellness of Canadians. If our goal in speaking with MPs is relevance (see above) then organics hits the mark. The value of the Canadian organic market has more than tripled since 2006. Canada exports approximately $500 million worth of organic products per year. See Rick Smith’s study not to mention that the main goal of the organic system is to preserve and protect biodiversity, soil and the environment. Organic farms create twice as many jobs per farm than the average farm in Canada. We were now informed and ready for our scheduled meetings with MPs from across the nation. I was fortunate enough to meet with both Murray Rankin (Victoria BC) and The Honourable Carolyn Bennett (St Paul’s ON). Mr Rankin was enthusiastic and already pretty engaged in the issues because he currently has a motion in the House of Commons calling for the mandatory labeling of food products containing ingredients that have been genetically modified. You can support it by clicking here! Our meeting with The Honourable Carolyn Bennett was held in the busy side chambers of the House of Commons. She graciously sat down with us in an awkward semi-circle of chairs to listen to our concerns and asks. According to Ian Anderson, MPs can meet with up to 20-30 groups in one day. The clarity and relevance objectives rang true! The 2 days flew by and we all returned to our various corners of the country to continue our work within the organic industry. One of the many lessons of the experience included that if you believe in something you must speak up! It’s empowering! Not sure who your Member of Parliament is? Click here for a list and start engaging in our political process!